Waste liners are made from super hexene resins to be puncture-resistant. Flat bottom seal makes them virtually leakproof. Ideal for home and office use. Secure with flap tie closure. 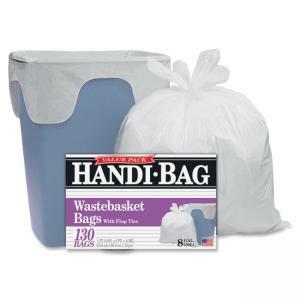 Waste liners contain a high percentage of recycled material.